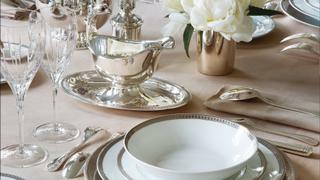 For more than 20 years Gillian Weir has been supplying the very finest tableware, linens and accessories to the world’s most luxurious superyachts, homes and aircraft. The British company prides itself on its ability to translate the lifestyle and tastes of the client into the perfect selection of products, ensuring that all accessories beautifully complement the interior but also work with how the yacht is used. It offers a tailored solution for every customer. For a superyacht that is chartered for many weeks of the year, Gillian Weir will choose accessories that work as hard as any chief stewardess at the height of season, and for a family owned boat, special touches for its youngest VIP guests are considered. No detail is overlooked, whether that be innovative LED lanterns for an al fresco soirée or the softest, most elegant linens for the ultimate dining experience. The company has become a trusted interior supply specialist to the most discerning clientele, thanks to the knowledge and personal approach it applies to every project. Sourcing accessories that are every bit as beautiful as they are practical, the company’s expert in-house designers and buyers take pride in their attention to detail, concerning themselves with the small but oh-so-important finishing touches as well as the overall tableware scheme. When it comes to selecting products, Gillian Weir has long-standing relationships with some of the world’s most sought-after brands, including Christofle, Baccarat, Raynaud and GioBagnara. So whether you’ve envisioned elegant tableware with just the right touch of hand-applied gold- leaf decoration, or the perfectly shaped, hand-etched martini glass in an evocatively Mediterranean shade of cobalt, the team know just where to look. Every piece is carefully curated to sit perfectly in its chosen interior. For those who want nothing as standard, the company also offers a bespoke service. The bespoke design team know just the right questions to ask to turn the client’s ideas into reality. Over the years, the company has forged close relationships with a selection of talented craftsmen around the globe, from artisan silversmiths to the finest Italian craftsmen making leather accessories. The sky really is the limit when it comes to choice, with a wide selection of colour palettes, a huge choice of finishes and unique details such as intricate embroidery to be considered. A carefully placed logo or monogram is a common request from superyacht owners, and Gillian Weir’s past yacht projects have included a bespoke tableware design inspired by the wooden marquetry detail of a panelled saloon. The company will go the extra mile to make something very special. Gillian Weir is able to work on any scale of project, from collaboration with owners, architects and designers to ongoing procurement and replacement orders. As well as sourcing items for your superyacht, the in-house team can provide a seamlessly choreographed full project management service, from initial consultation and thorough sampling to quality checking and delivery to even the most remote locations. The company prides itself on its after-care service, keeping a record of all measurements and project details so you don’t have to. If any item ordered through or created by Gillian Weir needs replacing, all information is readily available, making the ordering process run smoothly. 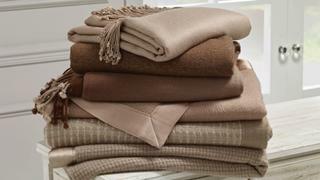 In addition to tableware, the company specialises in the finest cashmere, weaving and hand dying cashmere throws, blankets and cushions for high-end retailers such as Harrods, as well as private homes, superyachts and ski chalets across the globe. 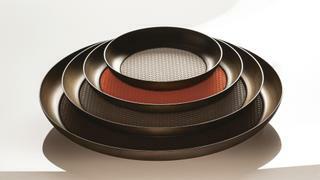 Quite simply, Gillian Weir understands luxury and is the perfect choice for unique quality tableware and accessories.